Empire’s Lucious Lyon is a busy man. 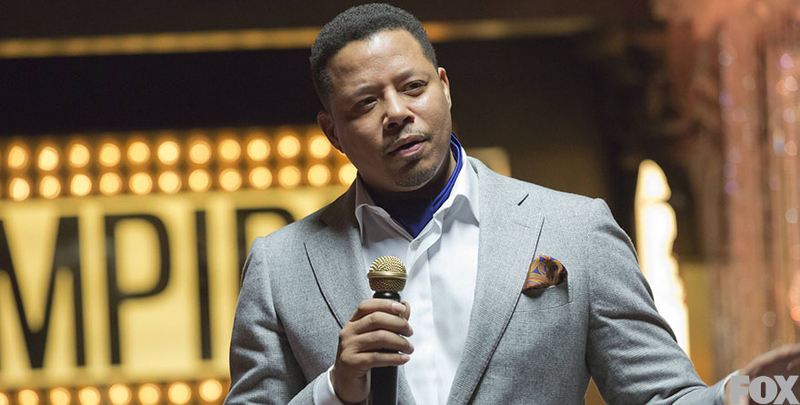 In an exclusive interview, Lucious Lyon’s to-do list discusses life with the Lyon patriarch. TVRD: Thank you for sitting down with us, Lucious Lyon’s to-do list. Lucious Lyon’s to-do list: And thank you for the opportunity to speak out. No need to be formal, you can call me To-do. TVRD: Okay, To-do. What’s your typical day like? To-do: Oh, I am kept hopping. He likes to write on me, since he refuses to use his computer. You know, he uses cheap pens… Anyway, Lucious always has a lot to do. To-do: Well, the main thing Lucious likes to do is be a horrible person. TVRD: So you’re saying he’s evil. To-do: “Evil” is a strong word but the main thing he likes to do is bad parenting. His son, Jamal Lyon is gay, you know. I think the worst thing he put on me was to literally toss Jamal in the trash when he was a little boy. It was heartbreaking. I don’t even think he put it at the top of my page that day. Lucious accepts Jamal’s gayness now, but he always has something unhelpful or manipulative to do with his sons. In brief, I would say that Lucious Lyon has a lot to do with needless family friction. TVRD: Lucious’s relationship with his ex-wife Cookie Lyon seems rocky. To-do: All Lucious had to do, was give Cookie her fair share of the Empire he built while Cookie was in prison. Lucious is greedy and selfish so that’s a thing he didn’t want to do, so he put that on me, too. TVRD: Sounds like a rough job. Does Lucious ever have any nice or fun things to do. To-do: Sure. Every morning he wants to do something funny with his hair. Recently it was a marcel wave, which was an outdated style to do. But, you know, I just take the instructions, he doesn’t like my feedback. And there are the ladies. He is married in name only to Boo Boo Kitty. The other day, she walked into his office and thought he was having a heart attack, but really there was a woman under the desk, uh, servicing him. That was a naughty thing to do, but it was something he had check off of me. For a full recap of the episode “What Remains is Bestial,” head on over to The Root.